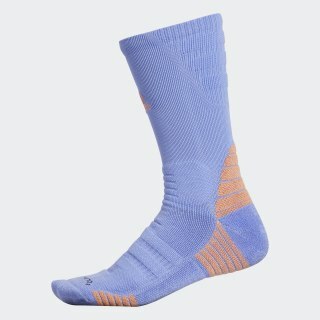 Stretchy compression socks made to manage moisture. These stretchy training socks provide a snug compression fit that helps you move through your workout with ease. Made to sweep sweat away from your skin, they offer targeted cushioning with every step. Left and right orientation provides an ideal fit.